Located in the scenic mountain village of Beaver Creek, Colorado, Beaver Creek Lodge is a first-rate resort that offers skiing, relaxation in the resort’s spa, and an escape into natural beauty. With a variety of vacation packages and amenities, Beaver Creek Lodge is a great year-round destination for families, couples, or experienced skiers. Beaver Creek Lodge has a variety of beautiful suites to suit any visitor. Each room has curated décor with rugged touches inspired by the resort’s mountain lodge theme. Every room is outfitted with plush bedding, complimentary Wi-Fi, and a flat screen television, among other amenities, such as a pullout couch and comfortable bath. Guests can customize their experience by choosing from the Queen, Double Queen, Valley View, Creekside, or Executive Suites. The Queen Suite is 475 square feet and can accommodate up to three guests between its queen bed and pullout couch. With 750 square feet, the Double Queen Suite includes two queen beds and sleeps five visitors. 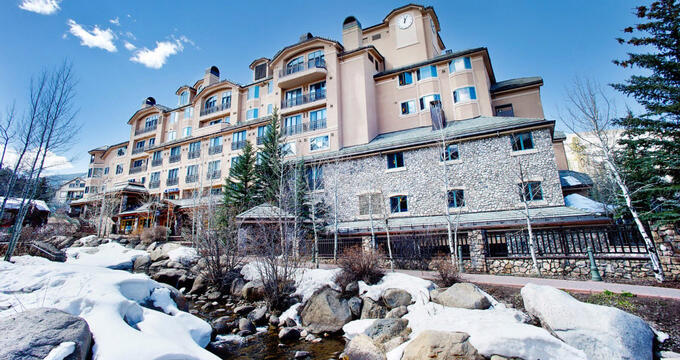 The Valley View Suite and Creekside Suite provide views of Vail Valley or the nearby Beaver Creek. Each contains a king-sized bed and can accommodate three visitors. The Executive Suite is 750 square feet; it offers a separate living area with a connected bedroom, a king-sized bed, as well as a gas fireplace. Guests can also book the three-bedroom condominium, which features a standard kitchen, separate bedrooms, and a wood-burning fireplace. The condominium is perfect for larger gatherings or family reunions. Beaver Creek Lodge has much to offer guests seeking a unique dining experience. Revolution is Beaver Creek Lodge’s in-house restaurant that specializes in rotisserie meats, artisan cocktails, and locally sourced ingredients. The restaurant is open for breakfast, lunch, and dinner, Revolution offers hearty, fresh cuisine with international influences. 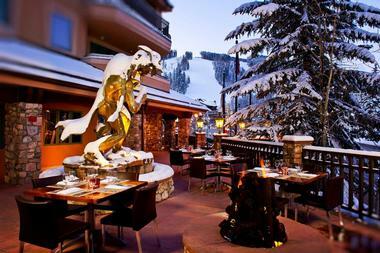 Beaver Creek Lodge’s bar is also located within the in-house restaurant Revolution. Visitors can order a variety of cocktails and beers, or even enjoy a wine tasting. With advance notice, guests can even book beverage tastings or the opportunity to try specific food and beverage pairings. 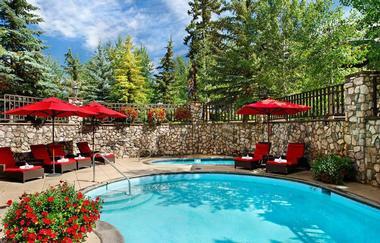 Beaver Creek Lodge has two heated pools (indoor and outdoor), as well as a hot tub and sauna. Guests can also visit the resort’s Artful Wellness Center, where they can enjoy state-of-the-art workout equipment, including cardio equipment and free weights, surrounded by a breathtaking outdoor view. Because of its location in Vail Valley, Beaver Creek Lodge offers services for skiers. 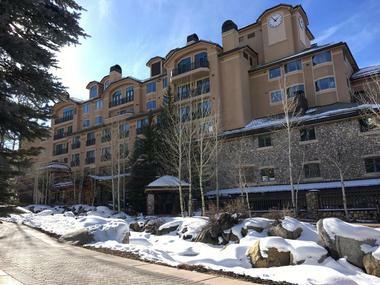 Guests can ski to and from Beaver Creek Lodge, and the resort also offers rental ski equipment to its visitors. Other amenities include a shuttle services to nearby locations, and a work center outfitted with computers, printers, and scanners. Guests can choose from one of the resort’s many family packages and events that occur throughout the year. Larger, multi-room suites like the three-bedroom condominium are also excellent for visitors that need extra space for their little ones. The resort works hard to accommodate any size party, including large families with lots of kids and adults. Most of the amenities and activities are good for both adults and children, depending on how old they are. Beaver Creek Lodge’s picturesque location and facilities make it ideal for gatherings of any size. Guests looking to book an event at the resort will have a variety of available spaces from which to choose. Whether looking for a theater, classroom, or banquet hall, Beaver Creek Lodge offers more than 6,000 square feet of space, an outdoor patio, and six meeting rooms. Available facilities include the Revolution Restaurant, the Kessler Wine Room, the Grand Bohemian Art Gallery, alongside several other rooms and spaces. The resort’s business center is perfect for work-related events, while their Bohemian Gallery is commonly used for weddings. For special occasions, guests can also plan ahead by booking a private dining experience, catered by the Revolution restaurant, which guests commonly book for small parties, anniversaries, romantic evenings, among other special occasions. Each facility is outfitted with a variety of technological and audio-visual equipment, and catering from the chefs at Revolution is available for any event.